Once the engagement is celebrated, the venue and date sorted, it is time to ensure your paperwork is up to scratch. From save the date cards to thank you notes, the array of stationery options has never been greater. Here, the husband and wife team behind Figtree Invitations, guide you through the available options. 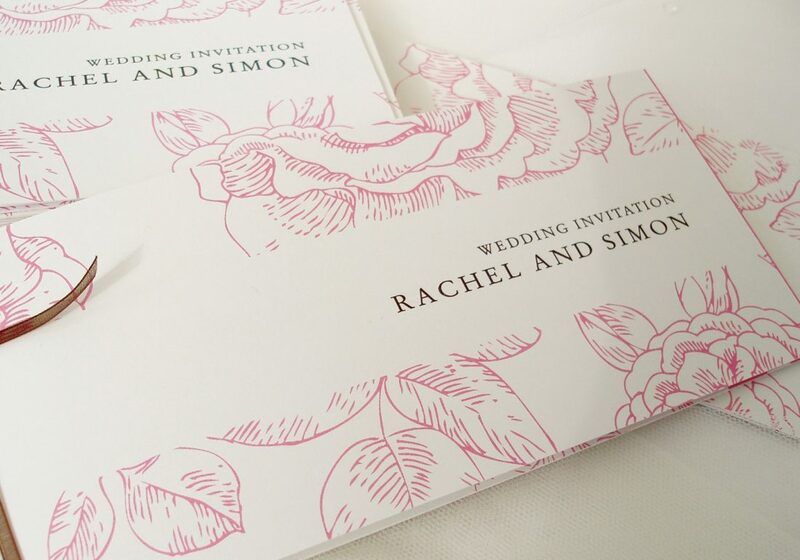 The style of your wedding invitations can set the tone for the whole day. We all like receiving something in the post and what could be more exciting than a wedding invitation or a save the date card? These items are often your guest’s first peek at your wedding style and can often set the tone for the whole day. They give your guests a sense of the occasion – so it is vital to get them just right. Along with listing the location and time of day, the invitation - and, more specifically, its style - hints to the formality of your wedding. Before deciding on your stationery you should have an idea of the type of wedding you want - classic and elegant, glamorous and modern, vintage and quirky - so you can choose an invitation style that hits the same note. It’s incredibly popular for couples to have a theme running through their wedding day, for example a shabby chic style, which then carries through every element of the event, in much the same way that a company branding works. 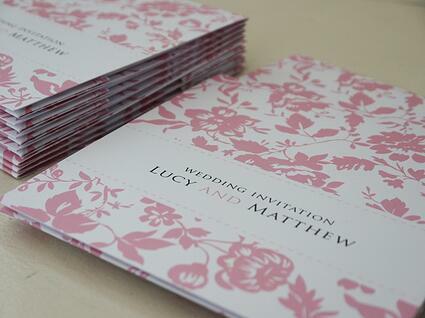 This theme often starts with your stationery and can be achieved by picking a design that reflects your style. We have dozens of different themes from relaxed summer fete and vintage-inspired designs with butterflies and bunting to more formal, stylish and chic styles which add a touch of sophistication. You may wish to incorporate your colour theme, or a motif, and co-ordindating everything from your bridesmaid’s dresses to the invitations creates a cohesive and polished look across the whole of your big day. While all our designs are available in a range of 70 different colours, this year champagne seems to be very en trend and the purple palette is extremely popular too. There are so many different combinations of families these days that some couples struggle to find the right words for their invitations. We are happy to offer help and advice on wording if someone is struggling. 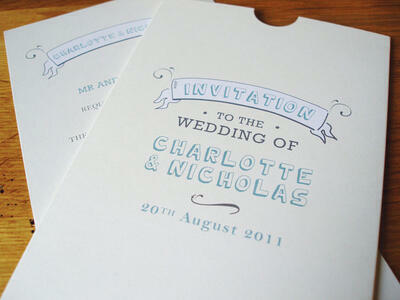 Figtree Invitations has a vast array of styles and colourways. The style of your wedding should be reflected in how you invite guests – if it’s an informal ceremony then you might say ‘we would love you to join us’. But if you are having a very traditional ceremony you may stick to the more formal ‘the brides’s parents request the pleasure of your company’. One of the things we particularly enjoy at Figtree is working with couples over a lengthy period of time, getting to know them and understanding the exact look they want to achieve. Sometimes we work with couples for a 12 month period. First to go out should be save the date cards to ensure the people special to you keep the day available. Couples usually send these around a year in advance, particularly if their wedding is during the popular summer months, or if guests have to travel some distance to attend. Many people send invitations out three to six months before the actual day – which allows guests plenty of time to book rooms, organise travel and find the perfect outfit and gift. We start to put the other items together once the guest list is confirmed. We do always advise couples to start working on their table plan well in advance, as it can be very difficult working out where to seat people and in some cases it can be one of the most challenging aspects of the day. Brides and grooms might also consider an order of the day, a map, menu choices, and alternative accommodation ideas. We would also recommend sending RSVP cards and envelopes out with your invitations. This makes it easier for couples to reply, which in turn, makes it easier for you to plan. 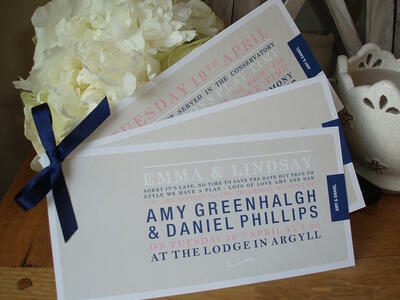 The style of your wedding should be reflected in how you invite guests. When it comes to stationery the choices are endless: we produce day and evening invitations, menu cards, place cards, thank you notes, labels for sweetie jars, tags for favours – anything goes. We started our business almost 10 years ago after designing our own wedding invitations. We were incredibly pleased with them and slowly our friends, and then friends of friends, started asking us to do theirs. Now we’ve had the pleasure of working with hundreds of couples and have become experts in all the different stationery options available to couples. I only wish we’d known then, what we do now, when we produced our own invitations!